Bluetooth connection, 64 alarm sounds and unlimited jump logger, are just a few highlights of the SonoAlti that shows off the unique design of the newest audible altimeter at ChutingStar. 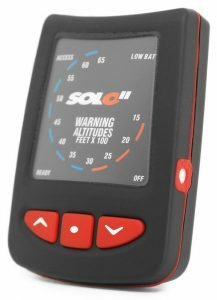 Thanks to designer Casey Mongoven of Freefall Data Systems who integrated the Bluetooth connection, you can manage the SonoAlti settings from an app on your phone. 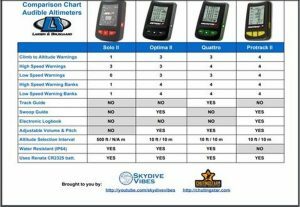 Any of 64 alarm sounds can be selected for the 8 total alarms for freefall or canopy flight, and then those alarms can be further adjusted by volume, pitch and tempo. See this recent in-depth review of the SonoAlti by Skydive Vibes below. The SonoAlti is one of 8 audible altimeters currently stocked and supported by ChutingStar. By far the most popular audibles are those manufactured by Larsen & Brusgaard, which include the Solo II, Optima II, Quattro and Protrack II. L&B out of Denmark is well known for its quality altimeters and customer service. 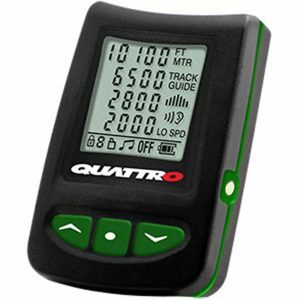 Although most known and used as a visual altimeter, the Alti-2 Atlas is the only dual-use altimeter in that it can be used as a visual or audible. That audible features of the Atlas rival that of L&B and Freefall Data Systems. The least expensive audible comes from the UK, and is the newest audible of the group: the AON2 Brilliant Pebbles. This audible connects to your computer, tablet or smartphone by App, allowing you to set up to 20 different alarms. 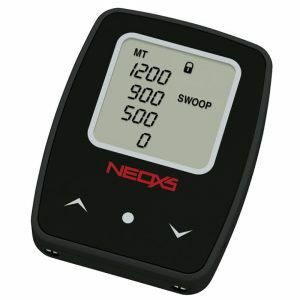 Next up in price and features comes from Parasport Italia with the NeoXs 2. This audible has all the freefall and canopy flight audible basics and more. And then for those that are dedicated wingsuit flyers or canopy pilots, the FlySight GPS Audible by Bionic Avionics is the only audible to give realtime feedback on your glide ratio, horizontal speed and vertical speed. 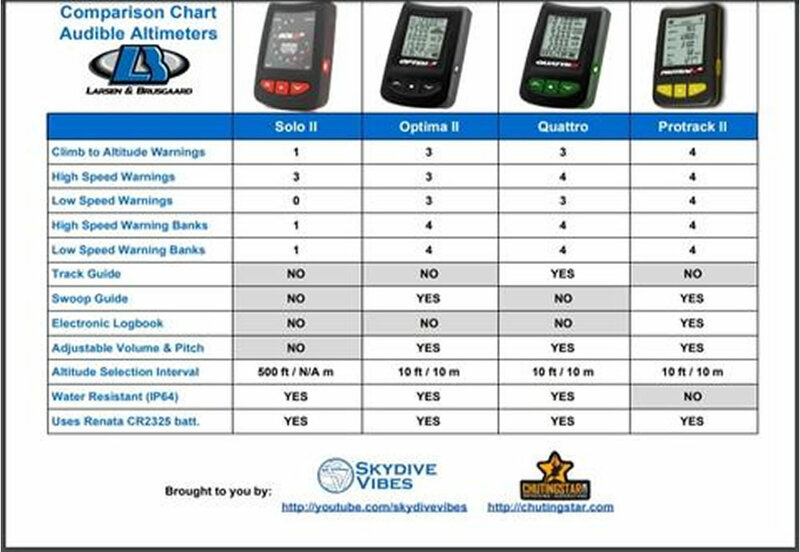 So lets take a closer look at all of the features of the 9 top rated skydiving audibles below. Dimensions: 2.16" x 1.57" x .47"
Solo II ordering at this link! Dimensions: 2.2" x 1.61" x .43"
Brilliant Pebbles ordering at this link! Dimensions: 2" x 1.54" x .39"
NeoXs2 ordering at this link! 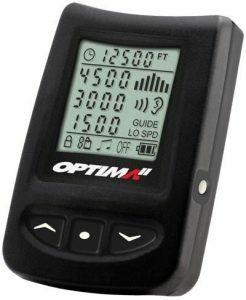 Optima II ordering at this link! 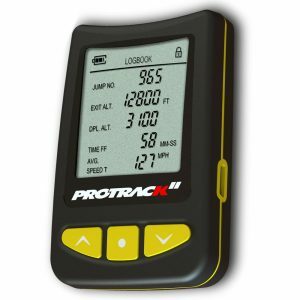 Track guide gives pulsating tones between 1st/2nd alarms for help with altitude separation of tracking waves/groups. Quattro ordering at this link! Dimensions: 2.38" x 1.5" x .48"
SonoAlti ordering at this link! Dimensions: 2.52" x 1.73" x .51"
ProTrack ordering at this link! Dimensions: 2.44" x 1.69" x .47"
Atlas ordering at this link! 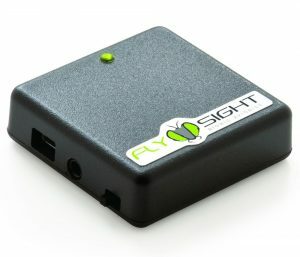 FlySight View utility plots logged jumps based on glide ratio, horizontal speed, vertical speed and/or elevation. Dimensions: 2" x 2" x .6"
FlySight ordering at this link! To see more info, read reviews and watch videos on all of the currently available audible altimeters on ChutingStar.com, see the full listings at this link.